"Those feelings were long gone. I'm not that 12 year old girl who would die for you. No. I have changed. I will never fall in your games ever again"
You might recognise her as the treasured apprentice of the Godaime Hokage. A member of team 7. A girl with hopes and dreams. A girl who had friends that she could trust. Her friends started neglecting her. Started faking their personalities. Started betraying her. When she found out,she was dissapointed and raged. She did what she could do. She left the village. The Akatsuki had recruited her. But soon....Team Hebi was recruited as well? How well will their reunion go? Will it go how you imagined it? It is of course, one of her wildest dreams to be reunited with her childhood crush. The war has ended, but nothing is as it should be. Team 7 is always busy and never see each other. Then they are sent on a mission to the Land of Winter to discover who is stealing medical supplies and killing off medical ninjas. As they all discover who each other really is, Sasuke uncovers some feeling he's never felt before and Naruto starts to see his friends in new ways. Strictly SasuSaku and minor NaruHina. First story please be nice. Comments and votes are welcome :) and I don't own anything! It has been 3 years since Sasuke left the Hidden Leaf Village. Everyone has seemed to move on expect two certain shinobi. Naruto and Sakura want so badly for him to come back to Konoha but can they get him back or will he return for a certain pink haired kunoichi? Keep reading to find out what happens. "Everyone has a second chance..."
Sasuke returns and gets some unexpected help from his old cherry blossom. 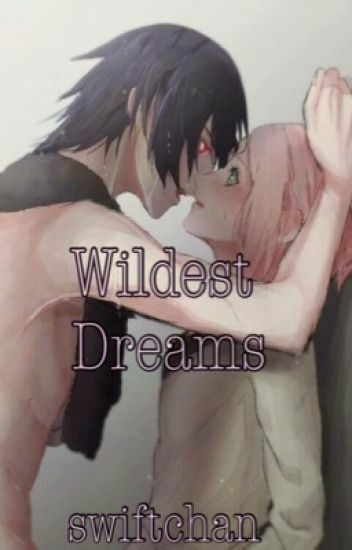 This takes place while Sasuke and Sakura are sixteen before the ninja war. Three lonely years has passed since Sakura Haruno last seen her long-time crush. And after Sasuke left the village, he finally came back for an unknown reason. With him, still ignoring the pinkette, Sakura suddenly woke up to realization: That Sasuke will NEVER have feelings for her, nor be concerned about her very being... or so she thought. As time passed by, memories of their happy childhood faded while hatred grew in her heart for the raven. He left her again, but she couldn't care less this time. "You are not worth it." as she would quote him to be. Six more months later, his heart finally yearns for hers. But for Sakura, her heart is now as hard stone after everything he did to her. Will he find a way to win her back and live a peaceful and loved-filled life, he longs for? Or will he just be another mistake in her forgotten past? What if, an enemy suddenly emerges from the shadows and takes her away? Hearts will beat. Hatred will be the upperhand. Love, will never be the same. It has been three years since Sasuke Uchiha has left the village. But one day he decides he wants to come back home to the Hidden Leaf Village. And realizes he has fallen for Sakura Haruno. The only problem is that Sakura has promised herself she would get over him! Will Sasuke be able to win back Sakura's heart? Or will this be a love story that was never meant to be? When the war had come to an end, rumors spread that Uchiha Sasuke was dead. Three years had passed since the war was ceased, Tsunade received a letter from the Fourth Raikage. He asked permission from Tsunade to let his strongest and wealthiest subordinate marry Haruno Sakura for stronger ties of two powerful countries and for Sakura to belong in one of the most prestigious clan in Kumogakure. Also for her to have a better future. Sakura accepted the offer for her village and since her loved one died, she had no one by her side. However, Tsunade gave her three months to decide. What happens if a certain incident will occur? Will she change her final decision? Will she choose to fall in love or fall out of love? Take the risks or let go?